One Eye Open at Banger's on Rainey St.
One Eye Open is an upbeat 4-piece bluegrass/country band out of Austin. featuring fine pickin', male and female vocals, with interests ranging from bluegrass to country, Monroe to Leadbelly, Hank Williams to Hot Rize, Bob Wills to Blue Highway, and Earl Scruggs to Johnny Rodriguez. Recent highlight shows include the 31st Annual Grapefest (Grapevine), O’briens (Temple) and Uptown Sound Studio (Marble Falls), along with corporate events, weddings and private parties. nd I dare say virtuosic in their beautiful renderings of the Bluegrass repertoire. Thanks so much Russell. You guys were great to play for! Thanks again for having us at Ma Ferguson's and your cool party! I hired One Eye Open for a corp customer party for a Tradeshow happening in Austin. They were fantastic! They offered great music that fit our BBQ vibe. Super easy to work with and professional on site. On time and easy going. Great value for the price. I highly recommend them! Thanks very much Karin. It was a pleasure working with you and playing for your group! We had One Eye Open play for our wedding and everyone loved it! They were so accommodating and easy to work with and truly cared about making our day memorable. They are a talented group of people, sounded great, and crowd really enjoyed them. One Eye Open was a large part of what our wedding an unforgettable event. Highly recommend! Thanks so much Kimberly! You guys were great, and it was our pleasure. Thanks for having us! "One Eye Open played our ArtWalk festival this last weekend in Fayetteville , Texas. They absolutely made the ambiance! Live acoustic Bluegrass, great vocals, perfect banjo, fiddle, guitar and bass; and down home charm. Our artists and attendees fell in love. They are already on the ticket for next year." Thanks so much for having us Jeanne. We really enjoyed it, and look forward to next year! 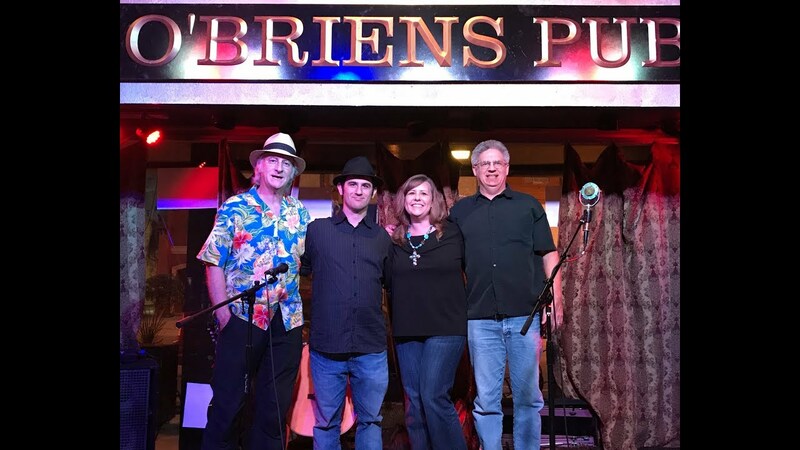 We're an upbeat four piece American Roots band out of Austin, featuring fine pickin', male and female vocals, with interests ranging from Monroe to Leadbelly, Hank Williams to Hot Rize, Bob Wills to Blue Highway, and Scruggs to Johnny Rodriguez. Rachael started playing fiddle/violin at age 11, competing in fiddle contests in Wyoming/Colorado/Nebraska at age 12 & formed a family bluegrass band at 13. She earned the Wyoming Junior State Fiddle Champion title a few times in her teens. She has played country, bluegrass and Texas music with several great musicians/bands in Austin - High Stakes Rollers, Michael Myers Band, Johnny Gimble and members of the George Strait band to name a few. Lenny Nichols has been playing bass since he was 13 years old. He's played many genres of music including pop, rock, blues, country, folk, jazz, classical and bluegrass. “It's About Time,” the blues album he recorded with Erbie Bowser and T.D. Bell, was nominated for a national W.C. Handy award. 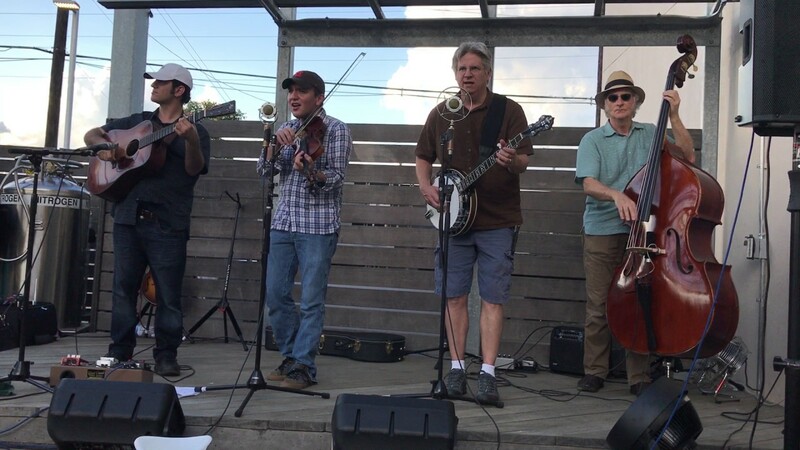 Lenny serves on the Board of the Central Texas Bluegrass Association. Shawn Spiars has been playing the 5-string banjo and performing for audiences for over 30 years. 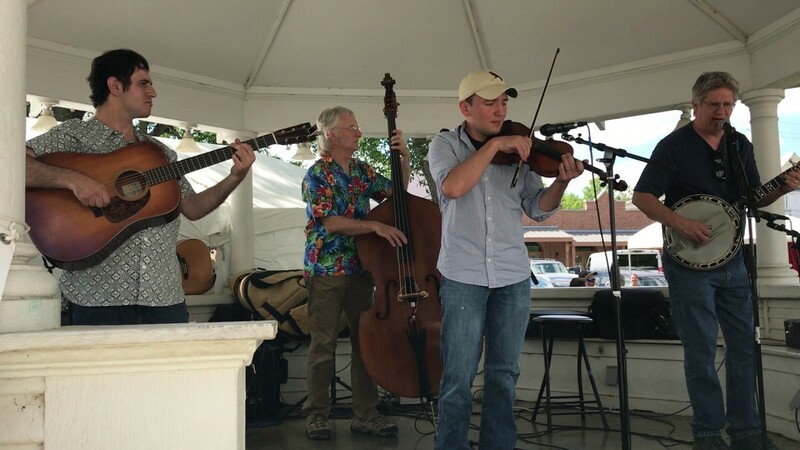 Since earning an Associate-of-Arts degree in Bluegrass Music from South Plain College in 1982, he has performed with numerous bands throughout Central Texas. Some of the more notable bands include "Hard to Make a Living", "Sabine River Bend Bluegrass", and most recently "Blue Country Grass". His driving banjo style borrows elements from banjo legends "Earl Scruggs", "Don Reno", and "Alan Munde". Max is a graduate of Berklee College of Music with majors in guitar and mandolin performance. He started at 8 on classical guitar, but got hooked on Bluegrass a couple years later after seeing Bill Monroe on Austin City Limits. He's been playing in venues in Central Texas and beyond since his early teens. Max currently plays with One Eye Open, Hot Pickin Bluegrass, and as a duo with Eddie Collins. Max finished 3rd in the 2017 Texas Flatpicking Guitar Championship. 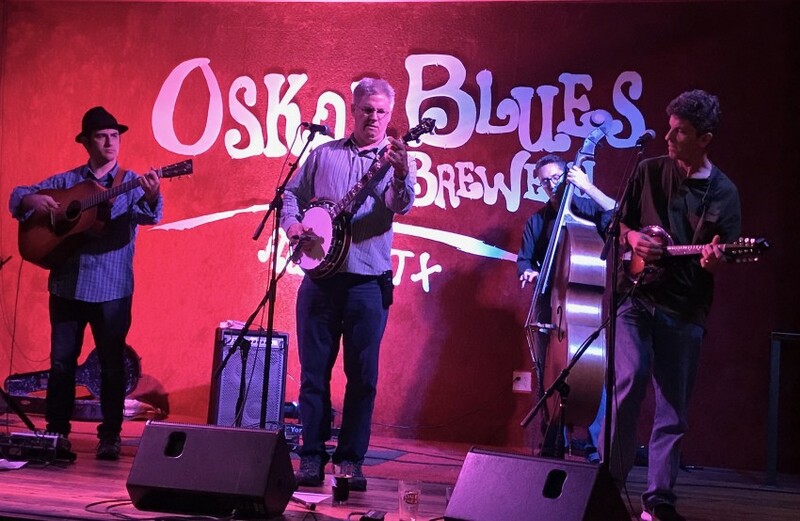 Recent review: Off the Grid Band showed up on time and played a wide variety of songs. Had a great time!